Offline Storage Table (.OST) files are created by Outlook /Exchange Server that keeps offline record of Exchange Server emails stored in the client machine which are inaccessible when orphan or corrupted. It plays important role to get back emails on cache mode. On Cache Mode, it is an exclusive resource, Outlook email client can restore deleted or lost emails from them. 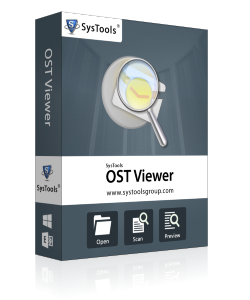 The Outlook.ost file allows you to work offline without Exchange Server connection and offline Outlook data file synchronized with the Exchange Server when network is available. Microsoft Outlook is an email application and works as your personal assistant to manage important information in email, calendar, contacts and tasks for further uses. Outlook offers you to create several accounts using POP3 and IMAP and widely used email application over various email clients. Outlook emails are save in PST format which can be easily read in mailbox, it also save in OST file format which is exist in client machine and does not open by default in Outlook mailbox. On Cache Exchange Server Mode, you can open Offline Storage Table (.ost) file in Outlook as Personal Storage Table (.pst) file. Outlook email items are saves on mail server as well as on your computer in format like OST file and PST file. 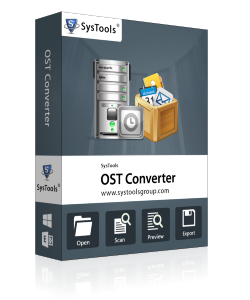 Outlook OST file is copy of synchronized emails and save on local machine in an offline Outlook data file (.ost) created during synchronization process between Exchange mail server and Outlook application. 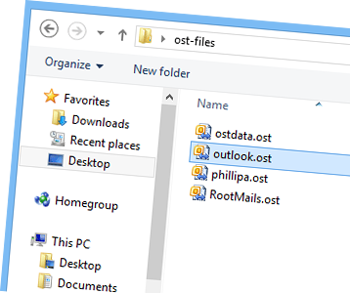 Both OST files and PST files is part of MS Outlook, as you know that PST File is Personal Storage Data Table which store all personal E-mail and their attributes but OST files is created by MS Exchange Server that's keeps E-mail record on off-line mode in client machine. 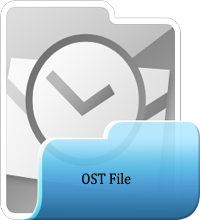 When Outlook user does work on off-line or server downtime, OST file play vital role to help in recovery of E-mail with OST File Repair tool. 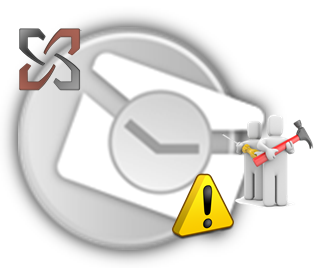 When Synchronization Issue Occurs in Outlook, How to fix it? 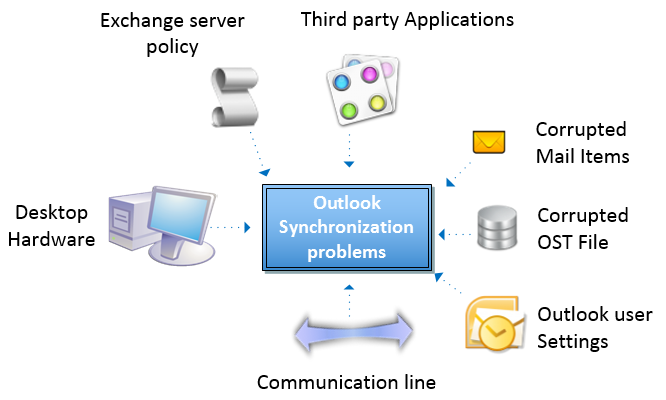 This article explains everything about synchronization process problem occurs with Exchange Server and OST files in Outlook. You can fix all the synchronization issue between OST file and Exchange Server in Outlook with the help of remarkable solution which is described in this informative article. Solutions of synchronization problem derive after cavernous analysis of Exchange Server mailbox by technical expert. How to Deal with Inaccessible or Corrupted Offline OST File? Offline Storage Table file is one and only resource that could be get your accidentally lost Outlook emails on the downtime Exchange Server or local machine. 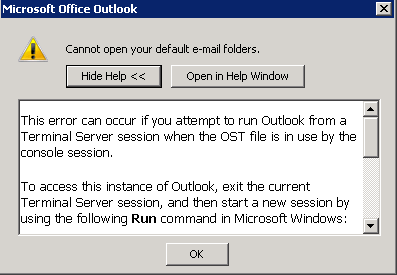 But your Outlook.ost file is either inaccessible or corrupted. In such situation, how would you deal with corrupted OST file? Solution of this issue given by the technical expert therefore you can easily deal with inaccessible offline Outlook data file and export emails to Outlook PST file. How to Save Outlook OST file emails to PDF file format? The Outlook offline data file is synchronized email of Exchange Server and enables to read on cache Exchange Server mode. 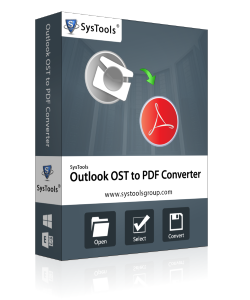 You can scans offline Outlook data file and save OST file emails to PDF format using OST to PDF converter tool with embedded email attachments. Are you looking handy, safe and result oriented application that could be easily repair corrupted offline storage table folder and restore emails from them as well as save into Outlook PST or EML or MSG file format? There are many applications available online that can be easily repair orphan OST file but either manual process is an ideal and suited in such condition or third party OST Repair tool is one of the best application which can be easily get back emails form OST files. It is a marvelous tool to quickly scan unreadable OST file and view including Emails, Contacts, Calendars, Tasks, and Journals. 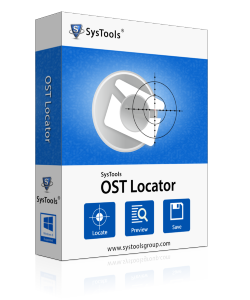 Tool to search out OST file with their properties and including details from multiple locations existing in the client machine. 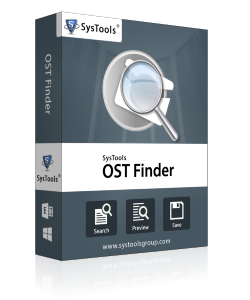 Tool to search in all system drives and find out offline storage table (.ost) file as well as exports searched list of OST file into CSV file. Magnificently convert unreadable offline Outlook OST file into readable PST file including entire email properties. 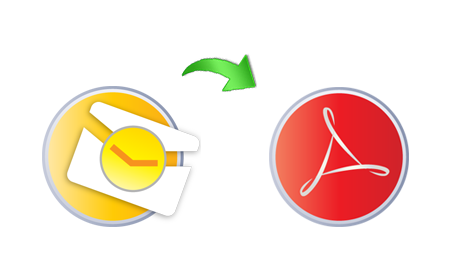 Successfully save multiple emails of Outlook OST file into PDF file format including emails, contacts, journal, task etc. 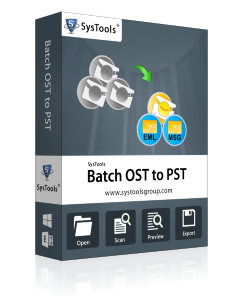 Quickly convert multiple unworkable or corrupted OST file into usable PST file. User can also save it into EML or MSG file.